Fishermen forced a boat doing surveys for the proposed Northern Pulp effluent pipe back to land in Pictou, N.S., on Tuesday morning. After a confrontation on the water, a fleet of fishing boats escorted a vessel believed to be conducting survey work for Northern Pulp back to the harbour in Pictou, N.S., on Tuesday morning. Fisherman Allan MacCarthy was the first to reach the survey boat about three kilometres from Caribou, N.S. "I said to them, you better get out of here because the ones that are following me aren't going to be as nice as I am," he said. "I just told the guys in the boat, your job is not worth this. Get out of here. Get that boat back to Pictou." MacCarthy said the survey boat was doing work in connection with the Northern Pulp paper mill's proposed pipeline that would take effluent from the plant to the water near Caribou. MacCarthy is a member of a working group of 3,000 fishermen opposed to the effluent pipe plan. He said tensions have been building between Northern Pulp and the fishermen, who are concerned about the pipe's potential impact on fish and fish habitat. "We basically decided that enough was enough," he said. "The fishermen are totally frustrated. "I don't want to see anybody get hurt. I didn't want to see anybody go to jail for Northern Pulp. But that's the way fishermen are talking, that this is not going to end well." MacCarthy said when he first spoke with the crew of the survey boat, there was "a little bit of argument or disbelief." "Once they seen the other boats coming, they were gone," he said. MacCarthy and five other fishing boats escorted the survey boat to Pictou, and another 20 or so were also on the water or ready to go and get involved, he said. MacCarthy said he's not sure what will happen next, but he said the survey boat is being watched carefully. "We know exactly when that boat leaves Pictou Harbour.… and if they continue to think this is going to happen, well, they seen what happened today. "Until they can guarantee us that they are not going to harm fish or fish habitat, we are not agreeing to an effluent pipe in the Northumberland Strait." RCMP spokesperson Cpl. 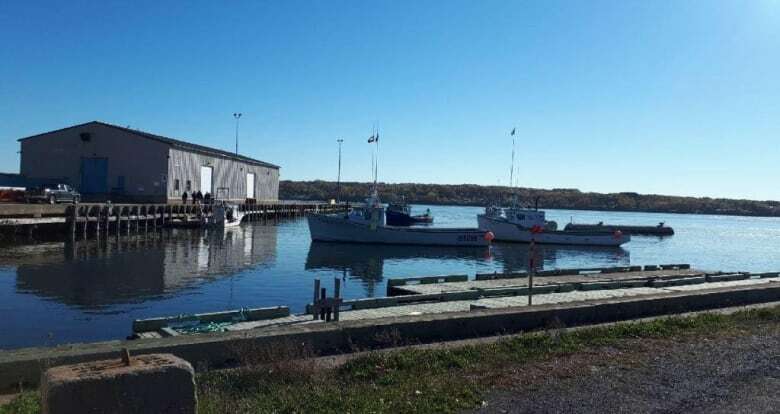 Jennifer Clarke said Pictou District RCMP were called to Pier C in Pictou just before 9 a.m. due to a "potential for conflict" between fishermen and the Northern Pulp survey boat. Clarke said no offences were committed and everyone left peacefully. In response to questions about the incident, Northern Pulp spokesperson Kathy Cloutier said in a statement, "Safety within Paper Excellence Canada and its facilities is paramount. "At all times, the safety of employees, contractors and their employees is our first priority. When situations occur, we will seek guidance and work with authorities to ensure the safety of all involved."